The provision of, so far as is reasonably practicable, safe areas of work within the facilities at all times, with proper means of access and exit. The provision and maintenance of plant, equipment, tools, etc, that are, so far as is reasonably practicable, safe and without risk to health. The provision of such information, instruction, training and supervision as is necessary to ensure, so far as is reasonably practicable, the health and safety of all employees whilst they are at work. The company will ensure, so far as is reasonably practicable, that persons not employed by the company, but who may be affected by the company’s activities, are not exposed to risks to their health and safety. In order to achieve the above requirements the company shall establish a set of Aims & Objectives which shall be Specific, Measurable, Realistic and Time bound. These Aims and Objectives shall be documented and reviewed at least once per year to ensure they are being met. 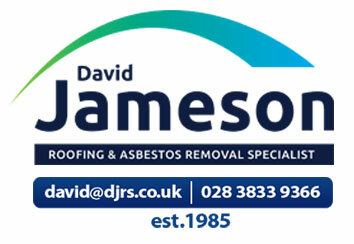 As Managing Director of David Jameson Roofing Services, David accepts his overall responsibility for Health & Safety within the company and by signing this Health & Safety Policy Statement commits to ensuring that all resources necessary to achieve the company’s Aims & Objectives. This will include the provision of adequate resources, instruction, information and training as the needs arise. To take all possible care for the health and safety of himself and other persons who may be affected by activities. To co-operate with management in every possible way to enable the company’s safety policy to be complied with. It is also a responsibility of each employee not to misuse or interfere with anything provided by the company in the interests of health, safety and welfare. Further to the above declared safety policy, all employees should have safety in mind at all times and should make use of protective equipment and must use the appropriate systems of guarding plant, etc, which are provided.Duties of various levels of management and personnel are set out in detail in the Safety Policy Booklet. The co-operation of each employee is essential to ensure the efficient working of the company’s safety organisation and to prevent injury to persons and damage to plant and equipment.